Steamrail reserves the right to changes. This entry was posted in Ajankohtaista @en on 16.2.2016 by tapani. Listen to the puffing of the steam locomotive, the clanking of rails. Hear how the whistle blows and the bell clangs. Sniff the burning birch wood and see how the power of steam gets a train moving. Welcome to a museum train excursion. 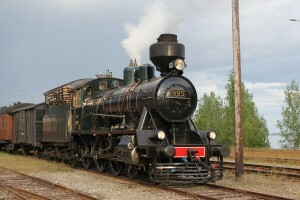 A steam train lets you get acquainted with unhurried way of travelling of travelling of a bygone era. Our steam trains are ready to take you on a journey into the word of into the world of fhe past. This entry was posted in Ajankohtaista @en on 10.2.2016 by tapani.